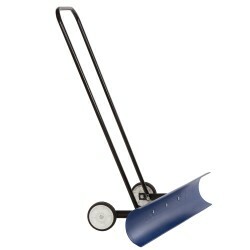 Salt and Grit spreaders to help spread and distribute your de-icing salt quickly and economically. 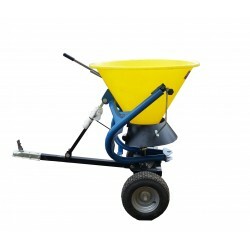 We have a selection of Salt Spreaders available to buy online. 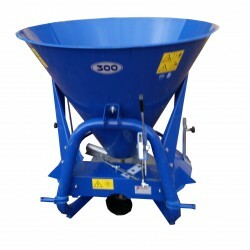 This includes hand operated, pavement salt spreaders and more industrial tow-along or mounted salt spreaders. 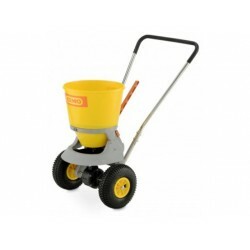 All of our salt spreaders make it easy for you to spread your de-ing salt over larger areas. 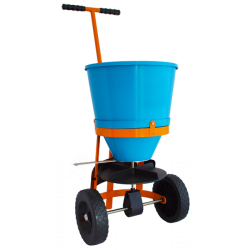 Built in agitators help break up and distribute the salt in varying spread widths, giving you a more effective and economical coverage than if you were manually spreading.